Support for him in West Point is evident in a painting of the former soccer star, bespectacled and solemn looking, that hangs outside a corner shop. “Liberia’s Hope” is written underneath. People have nicknamed him King George. Mr. Weah leaving the field earlier this week after a friendly soccer match between the Weah All Stars and the Armed Forces of Liberia. 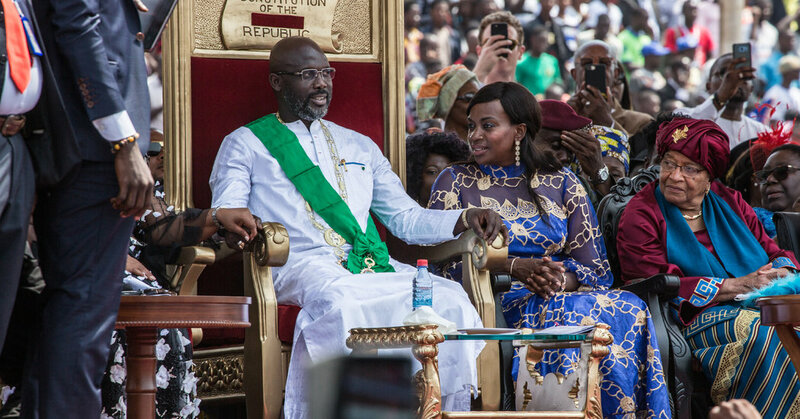 Like his predecessor, Mr. Weah has vowed to fight corruption. He has pledged to promote free education and health care, while also providing tax breaks for investors. Children playing by fishing canoes in West Point, the largest slum in Monrovia, Liberia. Faith Caranda, 18, who is finishing high school, said she hoped his first priority would be improving access to education.